This stunning kitchen was created by our designer Sharon. Our client had a large open space to work with, and wanted contrasting colours. 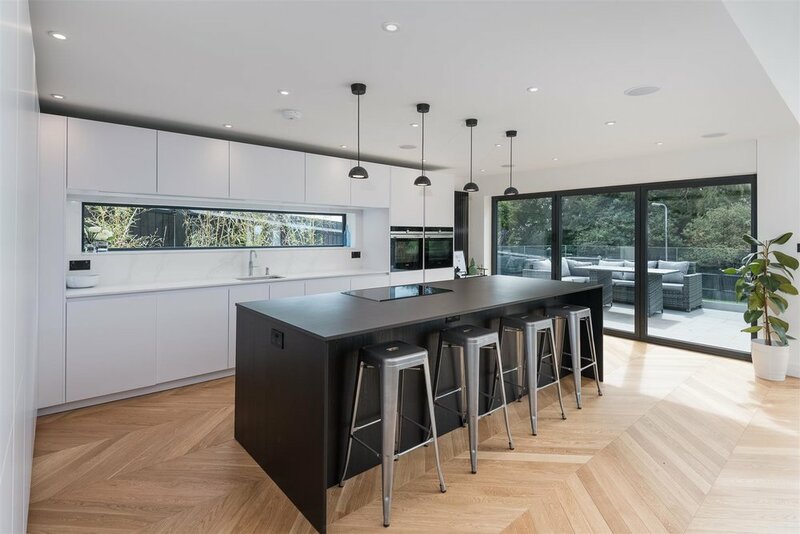 A sleek black island stands out even more so against the sleek white of the rest of the kitchen. Our client was keen to entertain guests, so plenty of seating was made available.